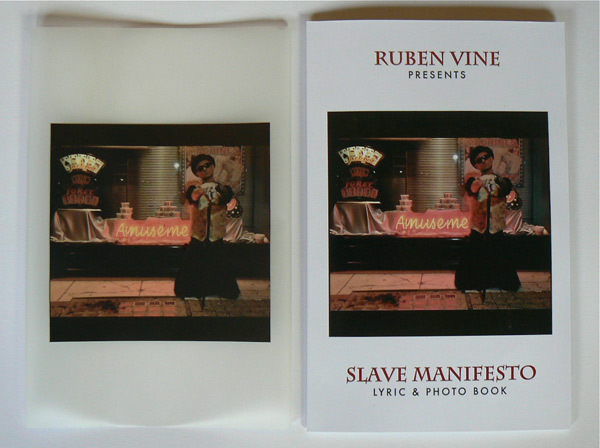 This book acts as a cover and lyric book for the album Slave Manifesto. 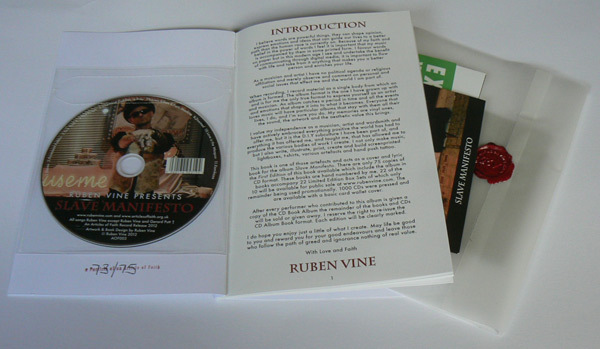 There are only 75 copies of the First Edition of this book available which include the album in CD format. These books are hand numbered by me. 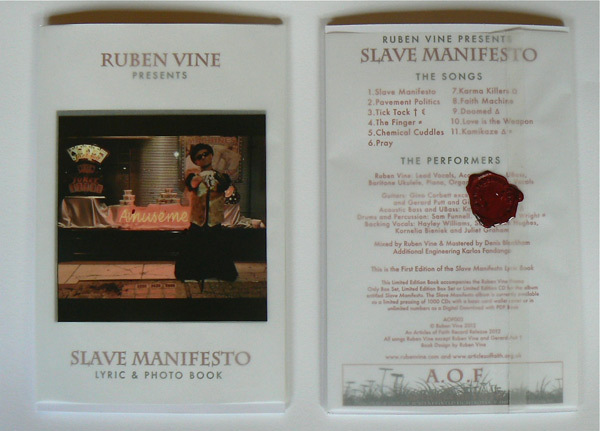 22 of the books accompany 22 Limited Edition Box Sets of which only 10 will be available for public sale at www.rubenvine.com. The remainder being used promotionally. 1000 CDs were pressed and are available with a basic card wallet cover. After every performer who contributed to this album is given a copy of the CD Book Album the remainder of the books and CDs will be sold or given away. I reserve the right to re-issue the CD Album Book format. Each edition will be clearly marked. 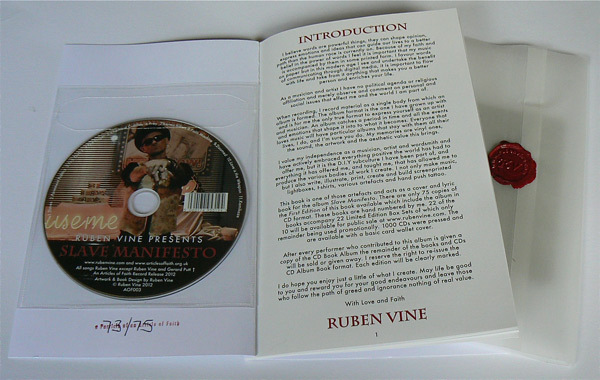 The First Edition can be further identified by a proof mistake. Back cover track list reads ‘1. 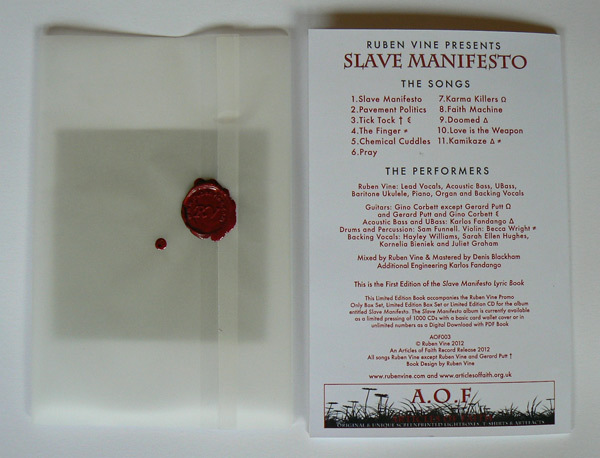 Slave Manifesto’ and should be ‘1. Slaves’.